We work with McCormick (The Silt Fence Plow), Tommy, Burchland, Bobcat, Ditch Witch Plows & All other brands. 3' X 1,500' 50 gram. 3' X 1,500' 70 gram. 3' X 1,500' 100 gram. 330', 1000' & Master Rolls available. Rolls are put up using a 3' core. Suitable for the bio-masses turning in triangulart windrows. Long-lasting solid urethane blade that provides optimal cleaning and is compatible with a wide array of other OEM cleaners. Cable plough for excavator. Made durable, top part of material S355, wearing parts HB400 and HB500. Mounted plough with anti stone protection. Resorak has has andjustable working width of bodies form 32 to 44 cm. The VT are spring cultivators ideal for superficial ploughing going from 100 /150 mm of depth on stony lands and not. They are mainly used in wine yards, orchards and for preparing seeding bed and grass. The anchors can be mounted at two, three or four rows. Characteristics: Boron steel. Integral hardening to avoid deformations and rupture. 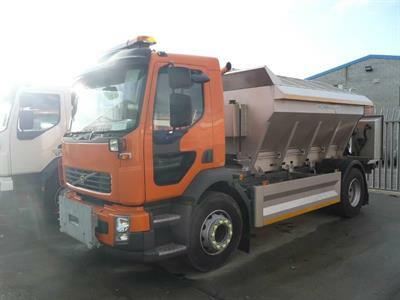 Chassis Type: Volvo FE 4X2 (18 Tonne). Hopper Capacity & Details: 6m³ Dry Permanent Mount. 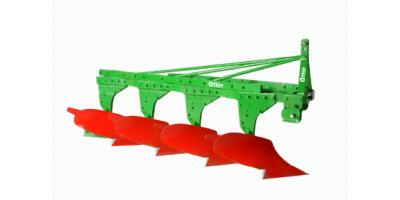 Plough Type: RSB10 Snow Plough. The G8K snow plough is equipped with the ZAUGG trip edge system operating on two rubber-sprung elements. Thanks to the plastic mouldboard and the split plough blade, this snow plough can be used with minimal wear and tear to the carrier vehicle. It is most commonly used on municipal service vehicles and 4-wheel drives.